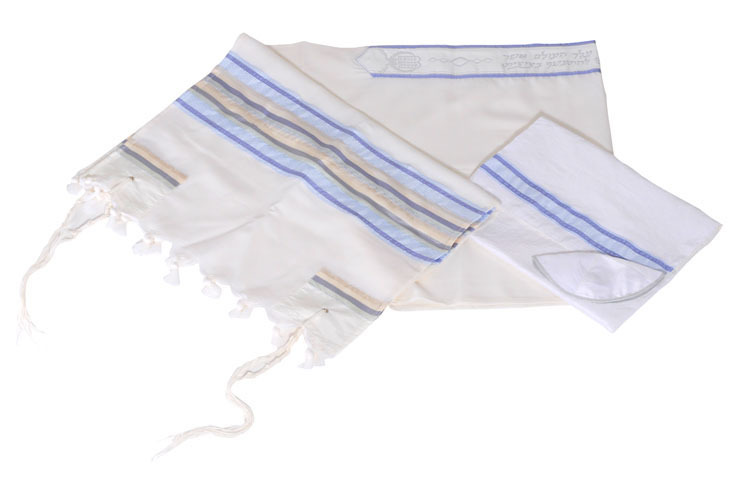 An exquisite combination of blue shades and yellow on a pure white background makes this tallit set a unique piece of the Israeli religious clothing design. 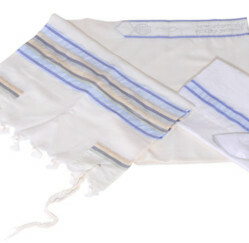 The tekhelet (blue dye) mentioned fifty times in the Old Testament makes the typical decoration of this prayer shawl. 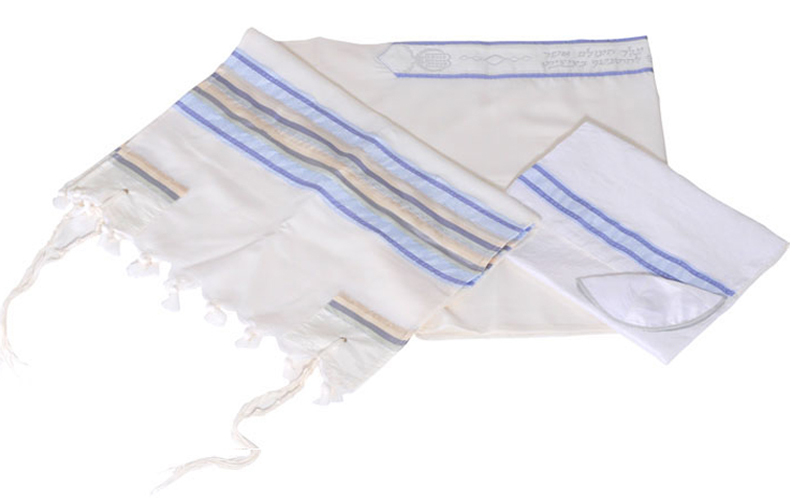 Blue is one of the most important symbols within the oldest monotheist religion. 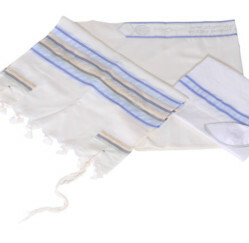 The color of the sky and of the sea, it symbolizes Heaven and the divine spirit. Yellow is the symbol of gold evoking the pure and refined faith.